There is no greater joy than being able to interact and encourage other homesteaders. The ability to connect face to face amplifies the learning experience, establishing a personal connection between all involved. Whether I am speaking about raising small livestock, living a sustainable life, or utilizing essential oils on the homestead, I know I am with my tribe. 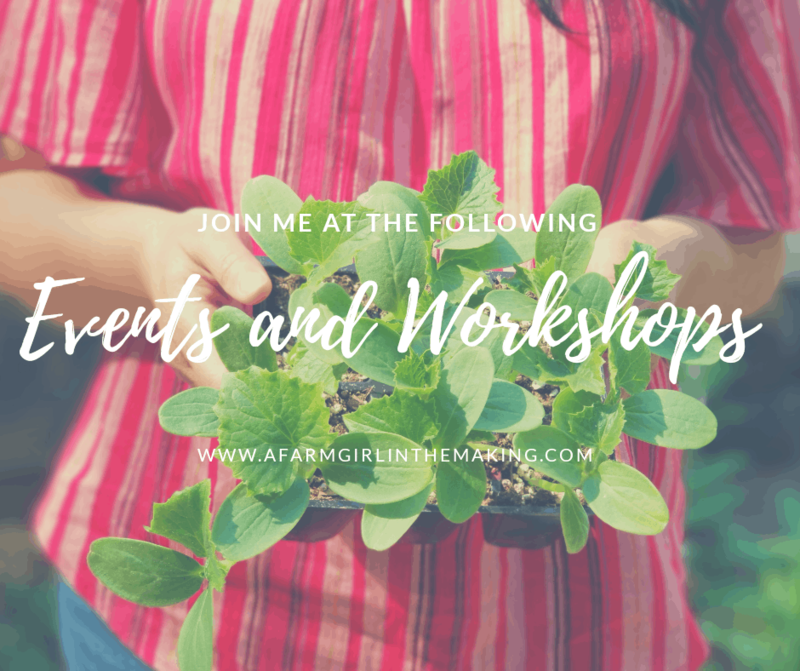 It is the opportunity to help individuals reclaim the lost art of preserving the harvest, while speaking of my book, The Farm Girl’s Guide to Preserving the Harvest, which brings me the greatest joy. Together we add to the homesteading movement one homestead at a time. 23 – Raising Chicks 101. The Grange Issaquah, WA 11am. 1230 to 2pm – Let’s pick out chicks for your property! 4 – Raising Chicks 101. The Grange Issaquah, WA 11am. 1230 to 2pm – Let’s pick out chicks for your property! October 10, Private Class – Gain confidence in preserving the harvest through canning and fermenting. Learn how to comfortably use your pressure and hot water canner while learning the ins and outs of preserving foods. In addition to canning, fermenting is necessary to establish good gut health. Become comfortable in incorporating this method of preservation on the homestead. More information about the class and how to purchase a ticket can be found here . Join me each week in my private Facebook groups. Hone your skills for preserving food at home, cooking from scratch, gardening, raising livestock, and simple living. The use of essential oils on the homestead allows for chemical free living on the homestead. Learn how to safely incorporate essential oils for you, the family, livestock, pets, garden, and home. Tuesday at 9am, The Farm Girl’s Essential Oils private page. Thursday at 9am, The Farm Girl’s Guide to Preserving the Harvest private page.